From Amsterdam to Vienna, Budapest to Bucharest and more. European river cruises provide up-close experiences of cultural and culinary traditions, from glittering capitals to quaint river towns. Cruise Specialists partners with the best river cruise lines to find the right fit for you. An 11-time winner of Travel + Leisure’s World’s Best Awards. Offers a wide variety of choice for travel preferences and different budgets. 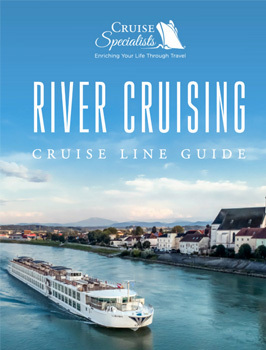 Boutique-hotel style river cruises with an average capacity of only 130 guests. Ships: Each exquisitely-appointed ship is a work of art, designed to be as unique as the guests who sail on them. A premium river cruise line that offers a menu of shore excursions in every port of call. Various paces and complimentary bicycles are offered in Europe. A unique American family travel company, Tauck offers the most exclusive experiences ashore of any company cruising Europe’s waterways. State of the art five-star luxury in spacious river cruise ships. All-inclusive service and a butler for every suite. Experience the history, culture and heritage of America on a cruise along the Mississippi, Ohio, Tennessee, Columbia and Snake Rivers. A new fleet of river yachts, including the largest river cruise vessel in Europe. 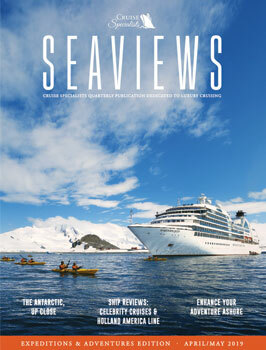 Six-star service with more overnight stays and scenic daytime cruising. A modern fleet of small ships carries guests along storied rivers and must-see waterways of America. Small ship cruising done perfectly. Need help deciding which river cruise will live up to your dream vacation?